AdBlue Emulator V4 NOx is compatible with Iveco Stralis, Trakker, Eurocargo truck series. Before installing AdBlue Emulator V4 NOx on Iveco truck please make sure that you have emulator programmed to Iveco program. 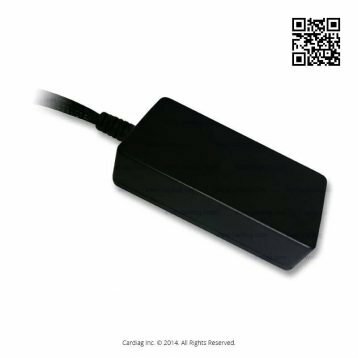 You can order pre-programmed emulator or you can purchase V4 emulator programmer device and change the program on SCR Emulator V4 NOx anytime you want. Also you can make more detailed programming by writing VIN code of the truck to emulator for better compatibility. First of all you need to find fuse box of the truck, it is located on the passenger side inside the cabin. 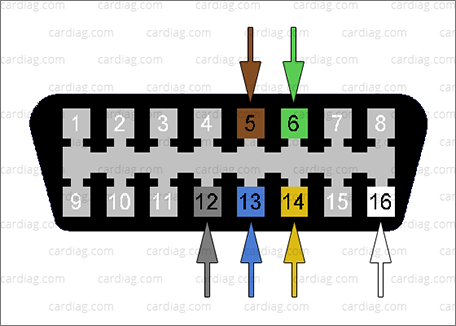 Open it and look for OBD diagnostic connector (location of the OBD connector depends on the type and model of the truck). Now you need to remove two mounting bolts from OBD connector so you can reach wires on the back side of connector. When you reach those wires please connect your AdBlue emulator to required wires on your truck (make sure you connect GROUND – brown wire first, it is critical as it guarantees that you don’t damage emulator). Connect brown emulator wire to pin 5 (GROUND), green wire to pin 6 (CAN 1939 High), grey wire to pin 12 (RS-485 “+”), blue wire to pin 13 (RS-485 “-”), yellow wire to pin 14 (CAN 1939 Low) and finally white wire to pin 16 (POWER +24V). When the wiring is done please disconnect DEF (diesel exhaust fluid – AdBlue) pump by removing two red fuses marked as SCR (sometimes they can be marked as UREA). Next step is to find NOx sensor that is located on exhaust pipe, right behind the catalytic converter. Now you must disconnect this sensor by removing it’s plug from the control module. Also you can disconnect it in other way, by cutting two twisted wires behind the socket where your NOx sensor plug is connected (don’t forget to insulate them). To make sure everything is working perfectly please unscrew the emulator, remove plastic cover and turn on the ignition. Two LED indicators should light up. First LED indicator shows that power supply is connected properly and second LED indicator shows that emulator has propper CAN connection. And on the last step you need to start the engine of the truck, press the gas pedal and then turn off the engine. There should be no errors related to SCR system and DEF (AdBlue) level indicator should show 75%-100% capacity available. 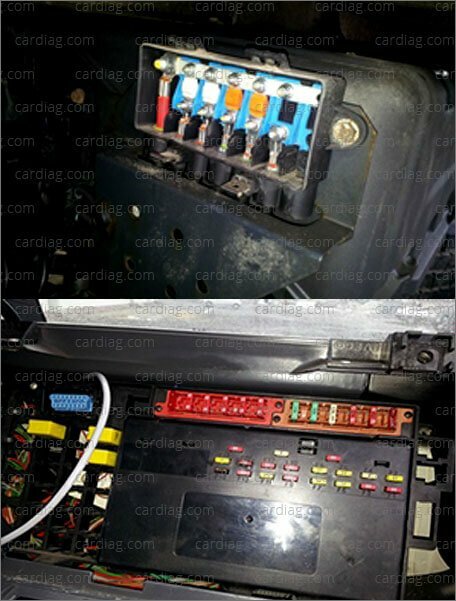 Adblue emulator connection on Iveco Eurocargo trucks requires same steps but you need to remove SCR (AdBlue) pump fuse from the fuse box located near the battery of the truck. The fuse box looks different than in other series of Iveco trucks. For example, Iveco Cargo do not have AdBlue dosing module fuse. Fuse, which must be removed is in the box beside the battery case. This is the fifth fuse from the left (sometimes it is the last fuse, sometimes there’s even a sixth placed after it) marked as UDS. After the installation of the emulator there should not be displayed any errors. Also AdBlue fluid level should be displayed at 75%-100% level. 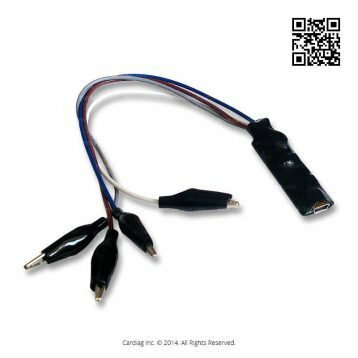 AdBlue Emulator V4 NOx installation manual for Iveco trucks was last modified: May 8th, 2017 by Cardiag Inc.